We provide accurate and essential information and data, because we know what our customers need. Clarity, quality, competence, punctuality, flexibility are just some of our guidelines to offer the right products and services for your work. A new vision in the world of cranes born out of years of experience in the field. 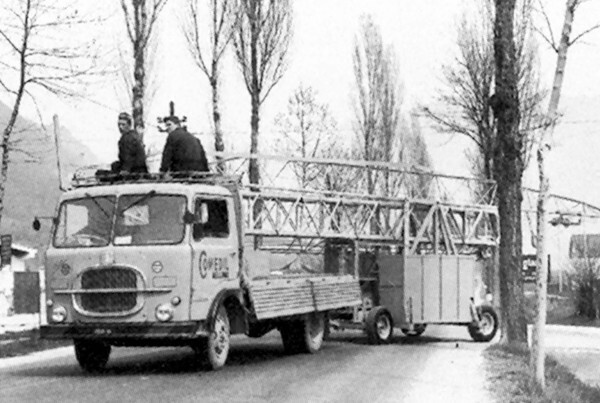 The Moritsch family has been dealing with cranes since 1960, initially with Ferruccio Moritsch, founder of some of the historical industry brands such as Gru Comedil and Recom. Comedil was founded in 1962 in Belluno by the brothers Raffaele and Ferruccio Moritsch. Over the years it has established itself in the industry as a reference brand both for its quality and its product innovation and research. Among the milestones in the company’s history is the introduction of the first top-slewing telescopic crane in 1962 and the rediscovery and development of the flat-top project in 1996, a global success subsequently adopted by all major manufacturers, the development and continuous modernization of the luffing jib range. Based on this history and this past, Morecranes is today able to give you all the support and the correct answers for your worksite. It is not just about buying a crane but about purchasing or hiring the right crane for the specific site.